Thousands of migrants have been rescued from waters off the North African coast in 48-hours, according to Italian and Libyan coastguard. 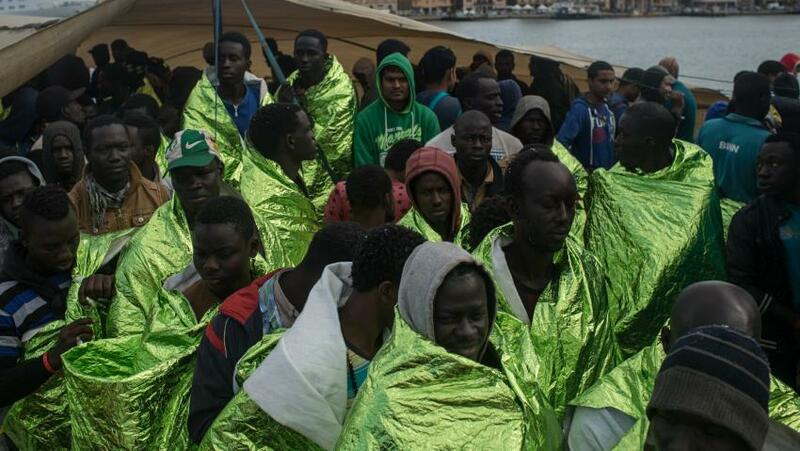 Around 5,000 migrants bound for Italy were pulled out of waters at the Libyan coast between Thursday and Saturday morning by Italian and Libyan coastguards, statements from both countries said. Some 2,900 people were rescued on Thursday - 2,300 of whom were found in international waters and taken to Italy, while 580 picked up in Libyan waters were returned to the North African country. Through Friday until Saturday morning, coastguards rescued another 2,100 migrants packed in 17 vessels, but found the body of one man who drowned, the Italian who drowned, the Italian coastguard said.coastguard said. According to international organisations, between 800,000 and one million people - mostly from sub-Saharan Africa - are currently in Libya hoping to make the perilous Mediterranean crossing to Europe. Between 7,000 and 8,000 migrants are being held in Libyan detention centres after entering the country illegally.